Retirement Flat in Ramsgate, Kent. 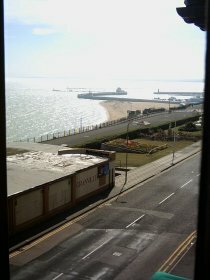 Retirement flat for sale Ramsgate Kent, UK. 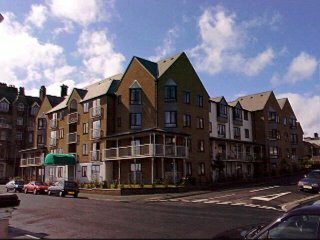 Retirement Flat called Poldark Court overlooking the sea in Ramsgate Kent, UK. 3rd (Top) floor purpose built, two bedroomed flat. Bathroom with bath/shower and extractor fan. TV - telephone and electric points. Guest room available for visitors. On-site Manager and in her absence a direct link via emergency pull cords to Ashford headoffice. Pull cords are located throughout the flat. 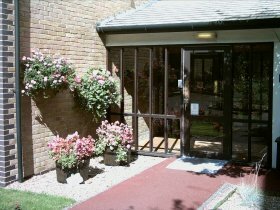 Poldark Court is located on the east cliff of Historic Ramsgate in the garden of England with views over the English Channel. On a clear day, and there are many of them, you can see France. This is Planet Thanet with its own micro-climate. 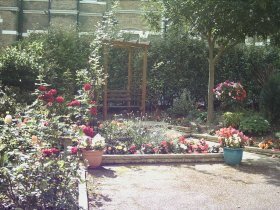 The flat is adjacent to many amenities, has its own communal garden and off street parking. Opposite Poldark Court there is a small theatre/Cinema for those who enjoy a night out. The Royal Harbour can be viewed from one of the lounge windows and is only three minutes walk/one minute drive away,the other window gives a good view of the promenade. Dover for cross Channel shopping. 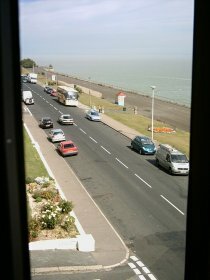 Broadstairs, Ashford and Canterbury are just a short drive/public transport journey away. Blue Water complex is a mere half / three quarters of an hour away. Ramsgate annually has a Yacht Regatta - Power Boat race - Promenade Concert and Victorian and French markets. There are many restaurants for all tastes and plenty Hotels and B & B's for visitors.